Hi, to all my loyal followers and friends. I believe that comment in the title is mostly true. Deep down inside I think we all have a novel buried in our hearts. Oh, there may be some exceptions. So, do you want to learn how to get that novel out of your heart and onto paper, or digitized? That's what I'm planning to show you. I mean, if I can do it, almost anyone can. It just takes time and drive. Several blog posts ago, I started explaining how I started writing. I'll recap that here if you missed it. When I was in high school (John Swett High School in Crockett California), an English teacher saw in me some kind of raw writing talent, and my desire to write, and urged me to pursue it. In Junior College (Diablo Valley College in Pleasant Hill California), I had two communications professors who both believed in my ability and told me to keep at it. It was years later that I convinced myself that I could write a novel during my lunch breaks. Just as a hobby at first. An hour a day wasn't much, but it was a start. I first wrote with a pen and pad of paper, but when word processors became available I transcribed all my hand written notes to a floppy disk. I kept working on my novel, changed it, re-worked it, edited it, revised it, renamed it, but kept working on it. Then came the internet and internet-based critique sites. I tried several groups until I found one that I loved. I got together with a few other writers and formed "The Writers' Pen" critique group. There I made some good friends and learned what worked and what didn't. I also gave advice to other aspiring writers and in so doing learned a great deal about novel writing that way too. I hate to admit it, but the entire process for finalizing "Bridgetown High" took 30 years, but you can see the results. While thinking that this novel was supposed to be geared for young adults, "Bridgetown High" has become something of a hit among middle age readers who grew up during the 1960s, the era in which this novel is set. 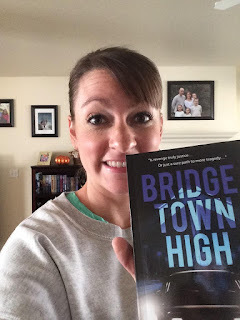 Next post, I'll tell you more about the publishing of "Bridgetown High." Hang in there. If you have that burning edge to write a novel, do it. Don't forget to "Like" and "Share" this post to your time-line in Facebook, and "Re-Tweet" it to your friends in Twitter too. BTW, don't miss any future posts. Let me email them directly to your email. Add you email address to the "Subscribe" on the side bar. Good afternoon, all you my faithful followers. This journey through writing and publishing is getting more and more exciting. I now have more than 2,000 followers, and I'm hoping some of you are as excited about my novel "Bridgetown High" as I am. Looking at some of my "Friends" on Facebook, I'm finding that people from all over the United States are learning about my novel. I've even found several from England and Australia, and even one from Ghana and another from the Middle East, though I hate to admit I can't remember which country. This electronic age is amazing. 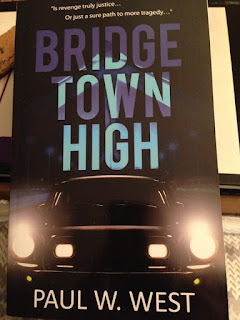 By the way, if you've read Bridgetown High, have you though to add a review on the Amazon site? You can go there by following this link. Also, please remember to "Like" and "Share" this post on my Facebook site, and "ReTweet" on my Twitter site and posts. They both really do help with the sales. Today, I thought I might tell you about another character in my novel - Suzie. Suzie is an unpopular girl, totally absorbed with herself. She lives for her dogs and cats and Barbies - believe it or not. That is until she meets Mark at the funeral of Mark's family. Mark doesn't remember her until he starts school at the new high school, "John Swett High School." Then, she becomes obsessed with Mark, hoping he'll ask her for a date. When he does finally give in to her flirtations, only because he can't get anyone else to go with him, the date becomes a disaster, and so does their relationship, but she teaches Mark a good lesson. You'll have to read the book to find out how much of a disaster and what kind of disaster. So, until I get another chance to write here, I wish you all well and if you're a writer, I urge you to keep writing, reading, writing, reading, etc. LOL. Writing and getting published is only half the job. Marketing it is the other half, but in a couple of weeks I should find out how rewarding it is. Hi again, all my faithful followers. Did you like my expose' on Charisse Davis, one of the main characters in "Bridgetown High?" If so, I hope you will "Like" and "Share" and/or "ReTweet" This post. I have a goal to make this novel into a best-seller. Ha, ha, I even had a couple of readers suggest it could be a movie. Not sure I would go that far. A few days ago, I finally got some time to work on "GERTA!" I have 45 pages written so far. I know. I have a long way to go. But, I need to confess, this is a 4th or 5th edit of this part of the book. It's the ending that I can't seem to get. For the final test in the class, he wrote two seemingly unrelated sentences on the chalk board. He told us we had to begin a short story (500 words) with the first sentence and end it with the second sentence. That, I have to admit, was a tough challenge. The two seemed to have nothing to do with each other. But I began, knowing I had to connect them somehow. Well, to make a long story short, I got the only "A" on the test, and one of the few in the class. So, since then, I've tried to write all my fiction that way. Create a hook for the opening, then work toward the final that I've pre-created for the story. Maybe that bit of advice will help you too. Hi, all my faithful followers. I'm finally finding a moment to write something. I like the quip I coined several years ago. It goes like this: "Work often gets in the way of more important things, like writing." 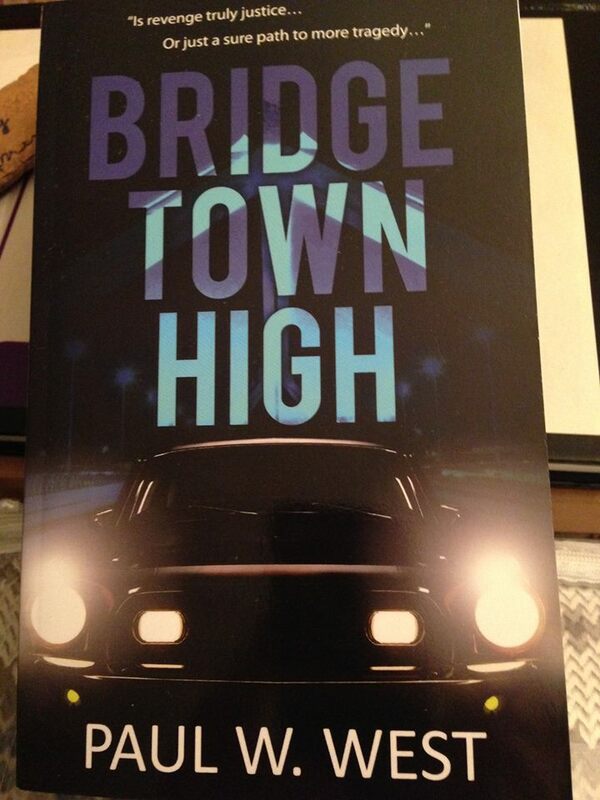 If you like realistic young adult stories, stories of love and vengeance and forgiveness, you'll love Bridgetown High. I hope before you read any further, you will "Like" and "Share" or "Retweet" this posting first. That really helps with the marketing. Thank you. I've wanted to tell you more about Bridgetown High. Like I said before, each of the main characters have their own stories. So, which one do you want me to describe today? Charisse Davis? OK. I'll do that. Charisse is a beautiful young lady, about 5' 1", strawberry blonde hair, green eyes, shapely. She's the kind of girl every boy dreams about but is afraid to ask on a date. Even though Mark talks with her from time to time, he's like every other boy, intimidated. Charisse is the Girl's Representative to the Junior Class, as well as being the Head Cheerleader. She's resourceful and pictures herself as next year's (her senior year) Student Body President. At the beginning of the book, Charisse is going steady with the basketball team captain. He actually dumps her as being too good for him. After doing a dirty trick on Mark, she goes after him, realizing he's very talented and the dirty trick has made him popular. In the end of the book, Mark has to choose, Charisse or Genie. More about Genie later. Like I've said in previous blog entries, I want to write my next novel but can't find a free minute to do that. So, like I've said too, I'm writing this so you can see some of the struggles I've gone through to be a published author, and now to sell my book(s). I still have no idea how well my book is selling. Sometimes I get the feeling it's doing OK, not great but OK. Other times, I get the feeling it's not doing well at all. I won't know until I get my first royalty payment, sometime around March 1. And even that won't tell me much as it will only reflect sales up to last December 31 (I think). 'Nuff for now.